Polished stainless steel case with brushed edges above and below the dial. 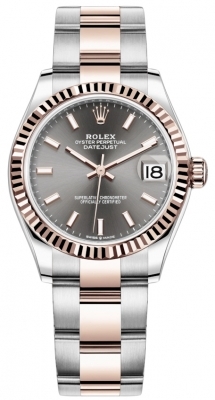 Polished 18kt rose gold and stainless steel bracelet with brushed steel center links. 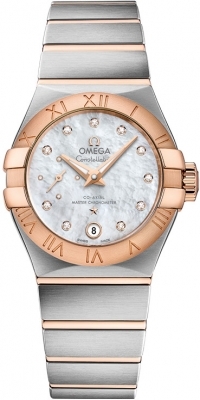 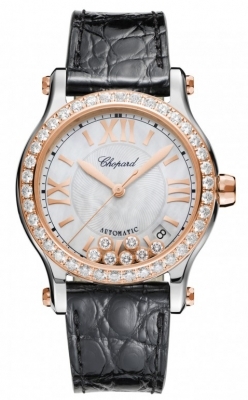 Rose gold crown is integrated into the right side of the watch and is set with sapphire cabochon. 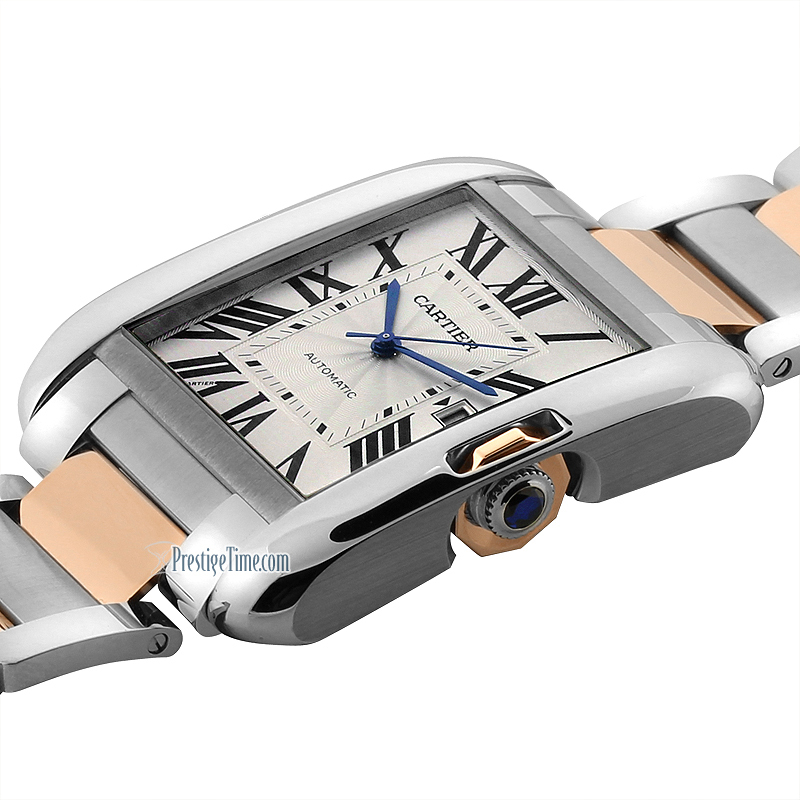 Silvered flinqué dial with black Roman numerals and blued steel sword-shaped hands. 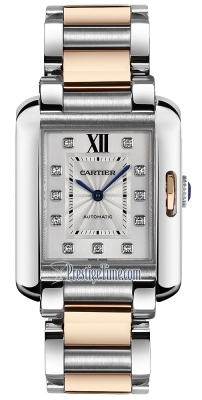 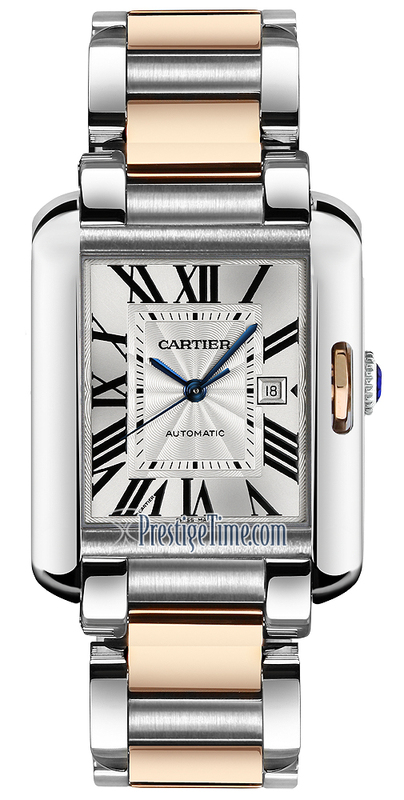 Cartier caliber 077 automatic movement.